As we journey through Lent, we are encouraged in this Sunday’s gospel to look at each new day as an opportunity for us to change and to keep growing in faith and goodness. By making and sharing positive changes we can live better lives and make the world a better place. - Talk to your child regularly about what they are doing online and how to stay safe. Let them know they can come to you or another trusted adult if they’re feeling worried or upset by anything they have seen. - Explore your child’s online activities together. Understand why they like using certain apps, games or websites and make sure they know what they can do to keep themselves safe. - Agree your own rules as a family when using sites, apps and games. - Manage your technology and use the privacy and parental control settings available to keep your child safe. 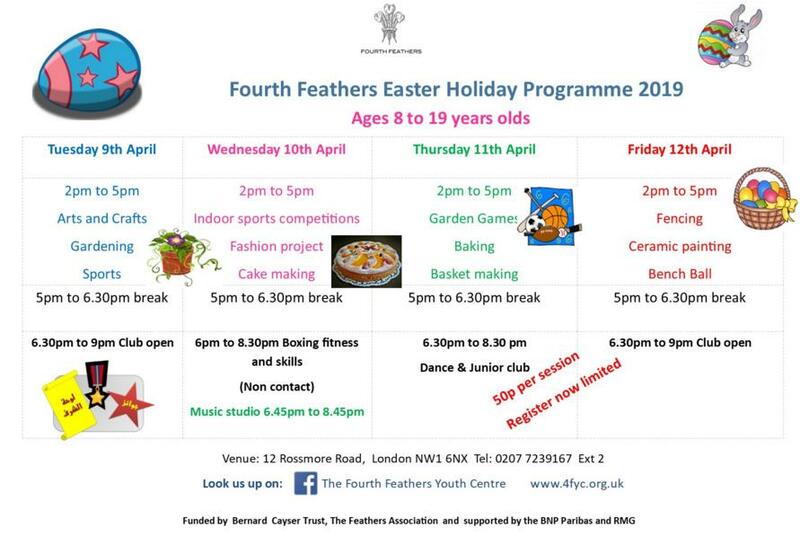 Fit For Sport will be holding various Easter Holiday Camps across London with the closest one being held at the Bayswater Children’s Centre. Visit Fit For Sport for further details and booking information. Please see below for information from our Chair of Governors regarding the Governors’ Fund. Dear Lord Jesus, thank you for your patient care for us. Show us where we need to change - to grow more in our love for you and for each other. Amen. Class 7 are our attendance winners this week - they achieved 99.5%. Well done! Well done to class 7 for their amazing assembly about ‘Light and Dark’. You were all super stars, especially your excellent dancing skills! ‘World on a Plate’ thank you! Once again, we would like to say a BIG THANK YOU to local businesses - Firebrand Pizza, Sea Shell and Tesco, Lisson Grove - for their very generous donations towards our ‘World on a Plate’ day. You helped make our event even more special. Katia and Noor delivered thank you cards handmade by St. Edward’s children to convey their appreciation for the support our school has received. We also want to extend our gratitude to Waitrose Edgware Road (Miss Freiter) for the wonderful donations towards our class hampers. Thank you! Our total funds raised from ‘World on a Plate’, including the hamper raffle, is a fantastic £698.36! This money will be benefitting the children of St. Edward’s as it will be used to create a new technology department. Our PTA worked incredibly hard to organise the day and we are very thankful to them for giving up their free time and skills. So, on behalf of all the children and staff, THANK YOU to everyone who supported our PTA to make ‘World on a Plate’ such a success! Miss Caridade has created a beautiful display showcasing some of the amazing art that has been created by our children. Please do come and have a look to see! Last week our Art Club children created leprechaun inspired art to celebrate St. Patrick’s Day! This week they made their own masks and journals - aren’t they great! Congratulations to all children who received certificates at this morning’s achievement assembly. Southwell are our house champions this week with 875 points! Well done!